Running any kind of business today is impossible without interacting with your clients online. It’s fast and convenient. So finding a platform, which will broaden your audience, is important. Welcome to SendPulse. Being one of the best startups according to the Next Web it can surely be trusted. SendPulse is a unique email-marketing platform, which combines multiple channels of communication with your clients: emailing, SMS and web push notifications. SendPulse allows using them altogether for free. Feeling like sending emails alone isn’t enough for your business? Or you think there’s something more to do to re-engage with your audience? SendPulse is the smartest choice. It offers an easy way to save your money, time and get real results straight away. 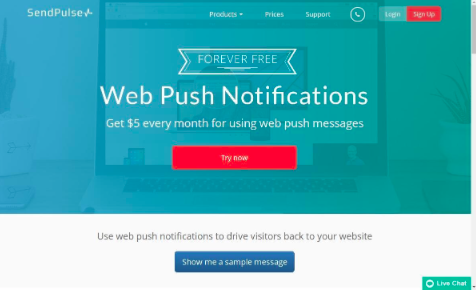 Web Push notification service is the answer you’ve been looking for. Here is why you should start using them now. Email campaigns are stressful, aren’t they? Once you start sending emails you worry whether people are going to open them. Forget about open rates. Web push messages appear in every subscriber’s browser guaranteed. Your client just has to click on them. Unlike email campaigns, web pushes promise quick users’ reaction. That’s because you don’t have to wait till subscribers check their email, they see Web Push messages immediately. Briefly, Web Push messages are clickable notifications, which appear on subscribers’ computer, even if the tab or browser is closed. they have higher open and click rates. Don’t worry, you don’t have to be an A-list specialist to use web push messages. As everything on SendPulse, web push notifications are simple and convenient to use. start your web messaging campaign. But you need clients’ permission to send web push messages. So make sure users subscribe to your push service. As a result, spam filters don’t block your push messages. Subscribers choose web push messaging over other messaging services as it’s fast and doesn’t require filling out any personal information. A/B test analyzes click opens and delivery rates. 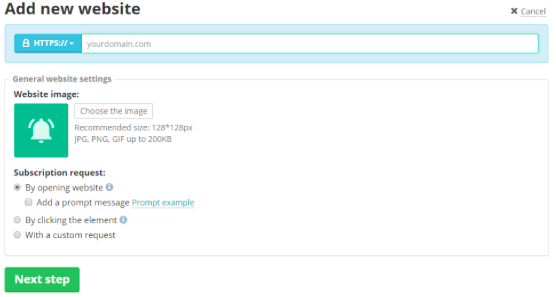 This will figure out which messages your clients are likely to click on. Artificial Intelligence (AI) technology detects the best timing to message your subscribers. AI increases open rates by 50%! It’s free and is only provided by SendPulse. Personalization helps send messages basing on subscribers’ age, interests and website behavior. Does any other email-marketing platform care about your business THIS much? Choosing SendPulse is always a better idea as it creates unlimited opportunities for maximizing your audience. Using this service is definitely worth your time and you will surely love the results.